The total pasture area, or zone of influence, corresponding to the 128 slaughterhouses provided an 88 percent match with the deforested area that occurred in the Amazon between 2010 and 2015. 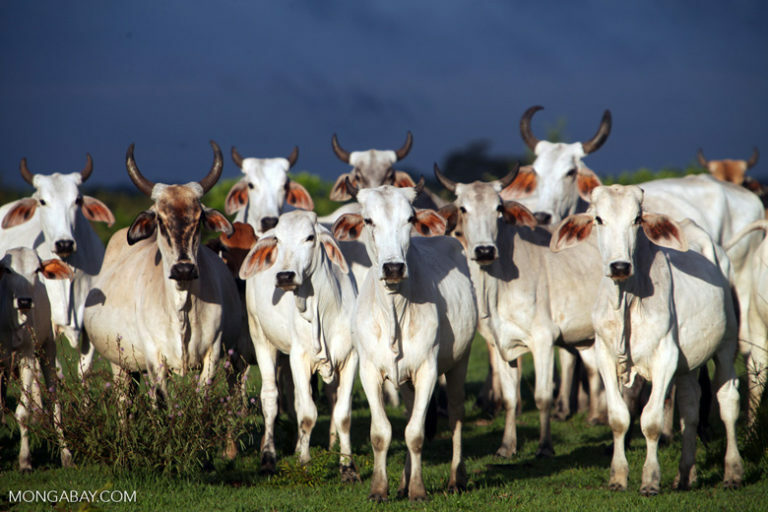 Based on a probability map created by the study, a 90 percent match was also found between the 128 slaughterhouse zones of estimated cattle supply and the Amazon areas projected to have a higher risk of new deforestation in future. The study adds weight to the idea that the most effective deforestation enforcement strategy is not to regulate the Amazon’s 400,000 ranchers and farmers, but for government to enter into effective deforestation enforcement partnerships with the slaughterhouses. I think they should both regulate and enforce partnerships as well as protect a significant area as sanctuaries!